Civil Air Patrol and partnering organizations have set up a multitude of opportunities to provide academic, flight, and activity scholarships to deserving cadets. All cadets are highly encouraged to apply for as many scholarships as possible. Scroll down or click the links to the right for more information on opportunities highlighted by CAWG Cadet Programs. You will also notice that some of these scholarships are honoring the memory of a few members who strived for and achieved greatness and who lived for the success of all cadets. Kenneth W. “K3” Sturgill Memorial PJOC/APJOC Scholarship covers the activity attendance fee to attend the Civil Air Patrol Pararescue & Survival Orientation Course (PJOC) or Advanced Pararescue & Survival Orientation Course (APJOC). – What is your motivation (why) behind your wish to attend PJOC/APJOC? – What do you hope to gain personally from your experience from PJOC/APJOC? – What are your future career goals and personal aspirations? 2. A letter of recommendation from an adult who is not related to the applicant. 3. The applicant’s most recent CAP PT scores the November of the year of the application, sent by the applicant’s Squadron Commander with a statement of confidence in applicant’s ability to successfully complete the course. Deadline for this scholarship application is 31 December. Should the recipient of the scholarship not be accepted to CAP-PJOC or he/she not be able to attend the course, the scholarship will be rescinded. Payment for the scholarship will be made directly to National Headquarters, Civil Air Patrol on behalf of the recipient. What and Who is the Scholarship for? It is envisioned that scholarships will be awarded to CAWG cadets who show a financial need that cannot be met at the squadron level. Scholarships will be awarded to current cadet members of the California Wing. Funds donated to the scholarship fund will be deposited by the CAWG, Civil Air Patrol. Donations will be accepted year round. How do cadets apply for the Scholarship? Applications will be submitted by current CAWG cadets to their Squadron Commander describing, in writing, why there is a financial need for the funds, the amount being requested and for what purpose the funds will be used. The cadet’s squadron commander will give an assessment, in writing, validating the financial need as outlined by the cadet. Both the cadet’s application and the squadron commander’s assessment will be forwarded to the Director of Cadet Programs (DCP)(george.ishikata@cawgcap.org) for review. This Flight Scholarship was created to honor the memory of Colonel Edwin W. Lewis, a 56 year member of Civil Air Patrol. 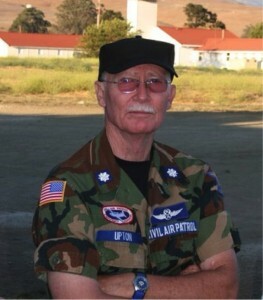 The award will be given to one or more deserving Civil Air Patrol cadets each year to introduce them to the wonders of flight which was Colonel Lewis’s passion. This scholarship is awarded yearly to one or more cadets in Pacific Region. Applicants must be at least 15 years of age as of May 1 in order to apply. The presentation of the award will be on the 28th of May each year, the anniversary of Colonel Lewis joining CAP. Funds donated to the scholarship are deposited in a special account at the National Headquarters, Civil Air Patrol, Maxwell AFB, Alabama. Donations are accepted year round. Applications will be accepted until May 1 each year. Send all applications by email to: Lt Col Chris Lee The selection committee will then have one month to choose the recipient. The selection committee will be composed of the Region Commander or Vice Commander or his/her appointees and Colonel Lewis’s widow, Midge Lewis. They will review the applications and select the recipient or recipients. Funds from this scholarship will be used only for initial aviation flight training and no other purpose. The amount of the scholarship may vary every year depending on the interest earned and donations to the funds in the account. The application will consist of the form and a one page, double spaced letter to the selection committee stating the reasons for the Cadet’s desire to fly and what his/her goals are in aviation. It doesn’t get any simpler than that! Each spring, Civil Air Patrol provides academic and flight scholarships to deserving cadets and seniors who meet the eligibility requirements. Specific scholarships are announced each fall. Combined with our college partners, we offer over $350,000 in scholarships. Application cycle for 2018/19 is now Open —> APPLY NOW. The following criteria apply to all scholarships and programs. Additional criteria will be noted within the specifics of an individual scholarship’s or program’s description. Be a current CAP Cadet. Be enrolled in a full-time (as determined by the school) course of study during the academic year for which the scholarship is awarded. Possess and maintain an academic and discipline standard acceptable to the school you attend. Have been a previous recipient for the scholarship or program to which you are applying. For example, if you received a Cadet Academic Scholarship last year, this year you may apply for the USAA Academic scholarship or another named academic scholarship, or any flight scholarship, but you may not apply for the Cadet Academic Scholarship again. From the CAP Utilities on the left side, select “Cadet Programs,” and then select the “CadetInvest” application. Fill out each of the first five sections completely. In the sixth section, upload your Resume (if needed), Letter of Recommendation (LoR) (if needed), and additional required documents as applicable. Each document must be in PDF format. There is a 3 MB limit on file size, so we ask that you optimize your PDF to reduce it to the smallest size possible before uploading. Title your document “LastNameCAPIDLastNameDocName.” For example, your resume would be, “Smith444444Resume.” If you can’t create a PDF with your software or you cannot upload your files onto the site, skip this step, but email the files to CadetInvest@capnhq.gov. Go to the seventh section and submit the application prior to the published deadline. You should receive a notification that the application is submitted. All applications must be completed through the eServices online application module. Check the requirements for each scholarship or program to which you are applying and upload all documents to your singular application. CAP Grade: This item should autopopulate. If it does not appear to populate, submit application, (you may get warnings the application is not complete), exit the application and then return to the module. Your grade should now be filled. Notify Cadet Programs at CadetInvest@capnhq.gov if it does not. Resume: You may include a document in resume format, not longer than 2 pages, detailing any academic, community or CAP activities not addressed on previous tabs of this application. Please include a statement about your future goals. If applying for a flying scholarship, include any relevant aeronautical experiences, including those outside of CAP. Letter of Recommendation: If you are applying for a flight scholarship or other flight program, you may upload one (1) letter of recommendation from an instructor pilot who has flown with you. Other scholarships may require a letter of recommendation and so check the scholarship or program specific sub-page. Flight Plan: If you are applying for a flight scholarship or program, include a statement describing how you will spend your scholarship, to include your flight training plan (where you will fly, the name of the FBO/CFI, how often you will fly, when you will begin and end your training, etc.). Feik Questionnaire: Please upload Feik questionnaire if you are applying for this scholarship. If you are applying for Feik only, you need not upload a resume. Link to the document is on the Flight Scholarships page. Hanna Memorial Essay: Please upload Hanna essay if you are applying for this scholarship. Link to the document is on the Flight Scholarships page. You are not required to provide transcripts, test scores, student certificate etc., at this time. CAP will request those documents from you only if you are selected to receive a scholarship or enroll in a program. CAP will validate the information you provide on this electronic application with your official school transcript. How do I know if I am selected? NHQ will post the names of the winners online and the members that have been selected for a scholarship will receive an email with details on what supporting documents they need to provide. Does an IB (International Baccalaureate) course count as an AP (Advanced Placement) course? Yes, IB courses are considered a dual enrollment course and would count towards the AP completed courses.